I am back with yet another installment in the Hot Toys of 2014 series. I remember loving these types of toys as a little girl. I remember the first one my dad bought me was a bright blue shade and he would take me to a local school on the weekends to drive it around the parking lot. I feel like this is one of those toys that every kid should own at least once. 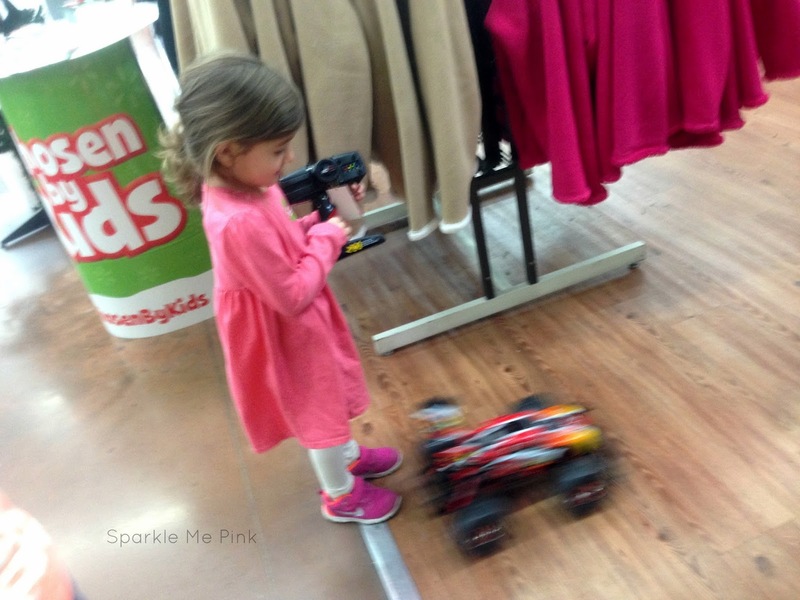 While they are extremely fun, remote control cars teach hand eye coordination, strategy and imagination. I remember constructing these elaborate ramps and demolition like set ups to drive over. 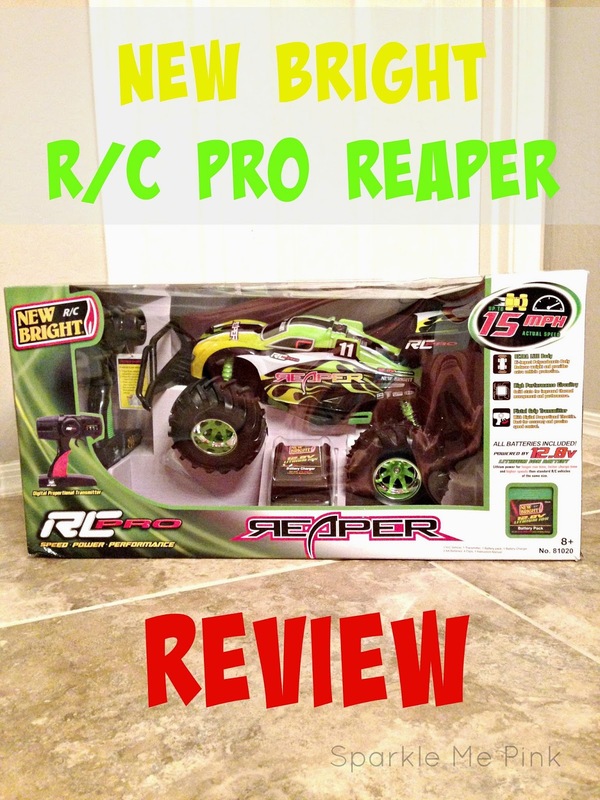 That is why this year my kiddos are getting the New Bright R/C RC Pro Reaper. I mean serious just how cool does this guy look ? 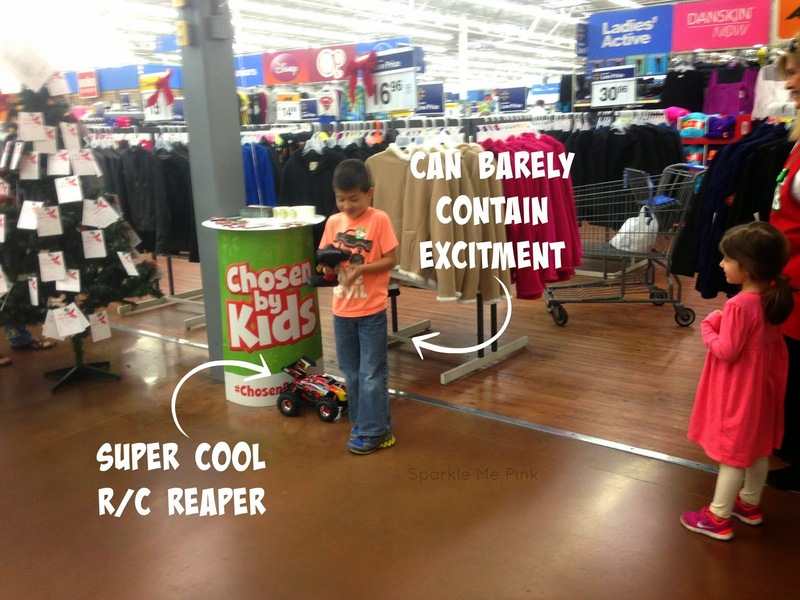 I have not take the Reaper out of the box yet, however, we attended an event at Walmart recently called Chosen By Kids where we were able to give it a test run. I will need to though to open it up soon though to charge the battery. By the way, ALL of the batteries needed to get started are included. One 12.8V and Two AA's. Recommended for ages 8 and up however my 6 year old was able to maneuver this pretty well once he got the hang of it. My 3 year old even gave it a go but that wasn't as successful. Hey I am proud she tried! I thought it was pretty cool how it comes in two different colors : yellow/green or red/yellow. Boy this guy is fast !! The R/C Pro Reaper can go up to 15 mph ! Which is why it is a good thing this truck has a High Impact Polycarbonate body. This reduces the weight of the vehicle but also protects all the important parts. Bumping into things with this is almost unavoidable but at least it won't burst into pieces upon a first hit. It also has an internal antenna which reaches up to 100ft. The transmitter even syncs with band for multi-player racing. Now that's awesome if you have two kiddos who are into toys like this. This is by far the coolest remote controlled toy I have ever played with. I can not wait for this kid to open this up Christmas morning. Is this toy on your kiddos wish list ?? 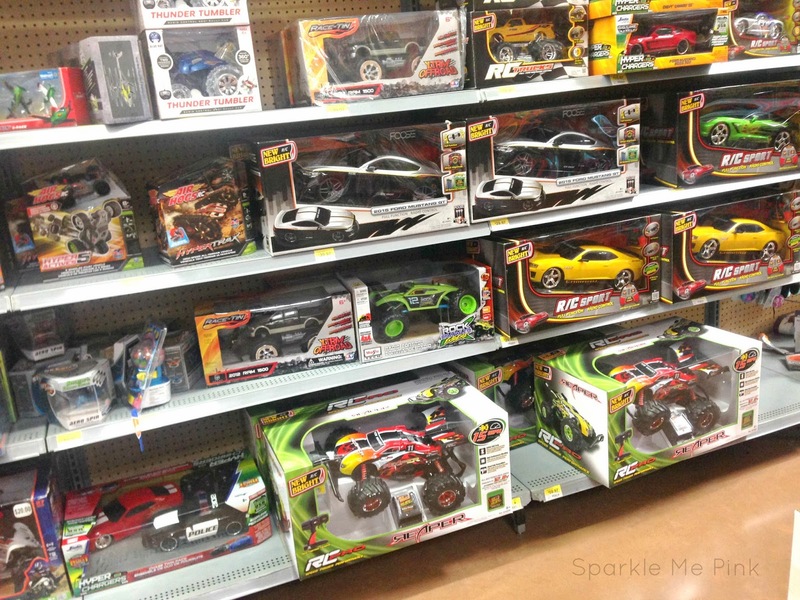 Here is a look at the area I located this in the store as I believe it is not sold online anywhere. My nephew is asking for this. It looks like a great car that will be played with time and again. 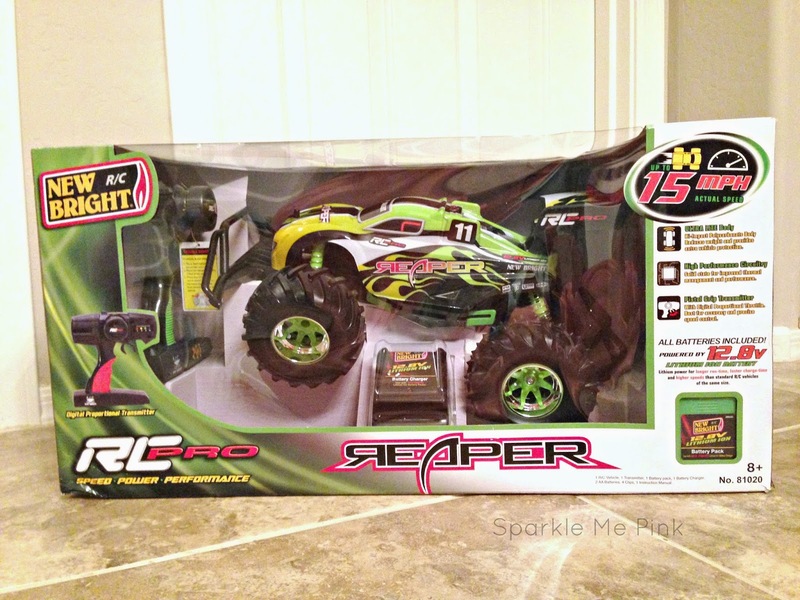 Any kid would be happy to see this remote control car under the tree! 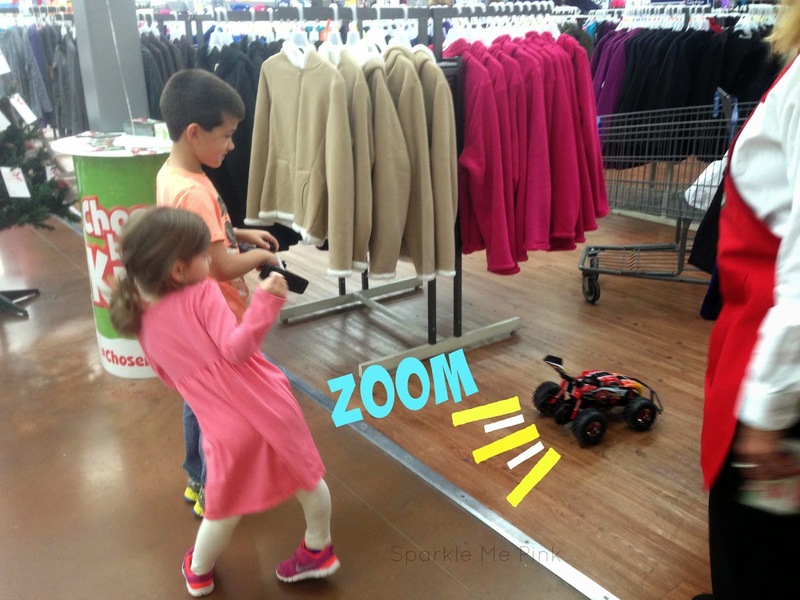 It looks like your kids had so much fun playing with it at Walmart! My son LOVES cars and trucks and would go crazy over this!! Lol Looks like they had a ton of fun! My son would love this truck! We saw this the other day at the store and my daughter thought it looked fun. Though I think my husband would secretly like it as much - if not more so - than she would! Haha.